Unfortunately, although garage door springs are a crucial part of your overhead door system, they are also some of its more dangerous components. You should never try to replace these units by yourself, as you could get seriously hurt if you don't possess the necessary training and experience. Not to worry, though. Our technicians will be happy to help you, even if an emergency spring replacement is what you require. Replacing broken springs isn't all we do, of course, but it is one of the different aspects of garage door repair that we specialize in. Because these components work by harnessing a lot of tension, any mishandling can cause them to break. This will result in an enormous amount of force being suddenly and violently released. If you happen to be anywhere nearby when that happens, you could get severely injured. In addition, your door could also get damaged in the process, as it will probably slam down and dent its panels or break its tracks. 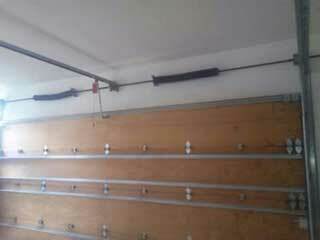 There are two kinds of garage door springs that can be used, and each requiresa different amount of headroom or backroom space available. Extension springs are installed in a pair, and they are the smaller, weaker, and more dangerous of the two. Because of this, they are usually interlaced with safety cables that prevent them from whipping around when they break. Torsion springs are the newer option. They are stronger, more flexible, and work very differently, utilizing torque rather than stretching and contracting. Because of that, they are safer to use, and often a single unit is all that's required to support the weight of an average residential garage door. If you find yourself dealing with some type of spring related problem, do not, we repeat, do not try to handle it on your own. These components can be incredibly dangerous, so you're far better off contacting our experts at Garage Door Repair Burleson and letting us take care of things for you. Call us today for more information.